Editor-in-chief Malcolm Ginsberg reports on a splendid domestic three-day break. With UK holidays now the vogue, it was off by motorcar for a really sunny short trip. If you live in London, the glorious Cotswolds can easily be reached in less than two hours on a good (M4) day. An area of outstanding natural beauty and around 750 sq mi in area, it is also very accessible from both the M5 and M40 from the north, and M4 from the south-west. Perfect for a two-night break (more if you can afford the time). We based ourselves at the delightful village of Painswick, just off the A46. As ever, the splendid National Trust handbook provided our guide with innumerable places to visit, big and small, all within 30 minutes. However, Highgrove near Tetbury, the home of the Prince of Wales, was our major target. Such is its popularity, you need to book at least a month ahead. Painswick can be best described as very hilly, the birthplace of tea merchant Thomas Tetley and until very recent times containing the oldest building in England to house a post office. The celebrated Rococo Garden at Painswick House is open to the public throughout the year. We stayed at Cardynham House, a Grade II-listed building once belonging to a wool merchant, which has nine rooms, all individual and with four-poster beds. One room offers an indoor swimming pool, making it perfect for a family visit. There is a bistro run by Romanians within the building, with a mixture of eastern Europe and local cuisine, and good value. More upmarket, and much more expensive, is the Painswick Hotel, with classic fine dining. Defined by its rolling hills, or ‘wolds’, this glorious region runs through five counties – Gloucestershire, Oxfordshire, Warwickshire, Wiltshire and Worcestershire. 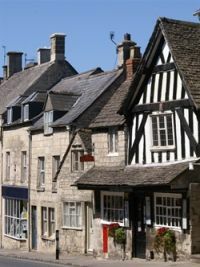 The Cotswolds are very rural, complemented by small market towns. There are more than 3,000 miles of public rights of way over ancient woodlands and wildflower meadows. Dry-built stone walls divide up the landscape. Be careful when driving. Highgrove is very much the family home of Prince Charles, who purchased it from Maurice Macmillan, son of a previous prime minister, in 1980. It was chosen for its location, not too far from London, Wales and the extensive Duchy of Cornwall properties. Its potential, with extensive grazing grounds ready for cultivation, would have clearly been in the mind of the prince, who was already at that time taking a real interest in the countryside and horticulture. Highgrove was initially occupied at weekends by Charles and Diana, Princess of Wales, after their 1981 marriage, and their two children, Prince William and Prince Harry, spent much of their childhoods at the house. Charles (who we are told is very much hands-on as the gardener-in-chief) has created a whole series of formal and wild gardens. 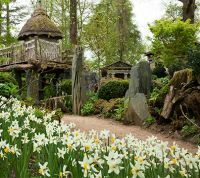 Individual features include the Carpet Garden, Southern Hemisphere Garden, Walled Kitchen Garden, the Autumn Walk, Sundial Garden and a Woodland Garden featuring two classical temples made from green oak and a stumpery. 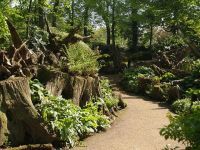 He has also planted a large number of trees in the grounds, and holds the National Council for the Conservation of Plants & Gardens (NCCPG) national beech collection. Charles has described his efforts as representing "...one very small attempt to heal the appalling short-sighted damage done to the soil, the landscape and our own souls" and has written that "Some may not like it, others may scoff that it is not in the 'real world' or it is merely an expensive indulgence. 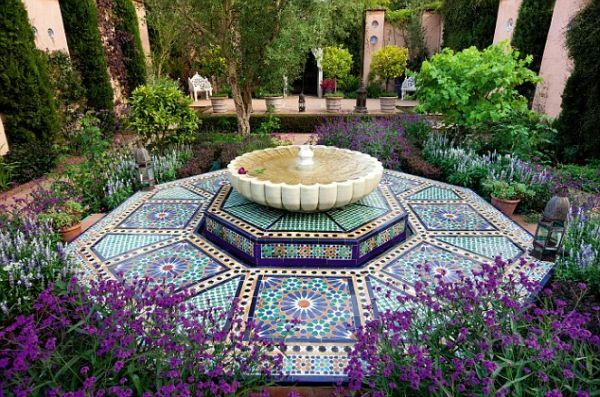 Whatever the case, my enduring hope is that those who visit the garden may find something to inspire, excite, fascinate or soothe them". A perfect description. The gardens are open to the public from April until October and the requirement is to join a tour led by one of the estate’s experts. The house itself is very much off-limits. There is a restaurant, with reasonable prices and organic food. Visit prices range from £17.25 for a short tour (75min and no more than 26 people, to a Champagne extravaganza (£75), 16 people maximum this time and at least two hours, with your ticket presented in a commemorative Highgrove gift box including the Highgrove Guidebook, which brings the gardens to life with stunning imagery and a foreword by His Royal Highness. Tea and other infusions are provided, plus a selection of sandwiches and cakes. 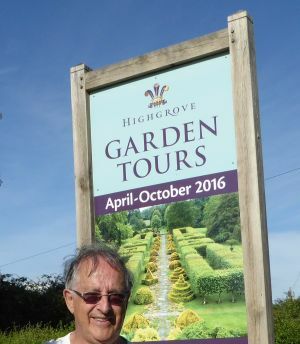 Highgrove by its very nature is a high-security area and its owner is in his own words “old fashioned”. No mobiles are allowed, nor cameras. No smoking either. And the way in, just two miles along the A433 towards the M4 from Tetbury, is very discreet. Easy to miss. 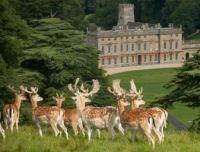 Dryham Park, under the National Trust since 1961, is in the middle of a truly remarkable renaissance. Originally conceived by William Blathwayt, war minister to William III (of Orange), it consists of 274 acres of parkland, with a massive baroque country mansion set in the middle. It was visited last year by 200,000 people and the numbers are growing, its location, just two miles from Junction 18 of the M4, along the same A46 as Painswick, making it ideal for visitors who want to take in Bath or Bristol. Or, indeed, Highgrove. Blathwayt was a remarkable man, and a prodigious art collector, Dutch speaking and extremely wealthy, although very keen to keep costs down, according to the records on display. When you consider that all the materials for both house and gardens had to be brought by horse and cart from Bristol, 12 miles away, the more extraordinary the project was. His ambition, to host the king, was never realised, as the monarch's early death thwarted that idea. Blathwayt himself died at the age of 68 and is buried in the churchyard. Over the next decade, Dryham Park fell into decay with the influence of Capability Brown and his less formal and more landscaped gardens. What you see today is the tremendous efforts being made to return it to its formal glory. Part of a £3.8m project, the reroofing of the house is now complete, although there is still much work to be done and parts of the building are restricted for visitors. The lavish water garden is long gone, but thanks to a 17th-century engraving by Johannes Kip visitors can get a good idea of how it would have looked and it is an inspiration for the garden project. Last year, the Lost Terraces and new Hollow Ways play area opened and a Journey of Discovery sculpture trail. 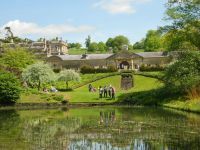 While some of the rooms in the house remain closed, there is a new exhibition, The King & the Courtier: Dyrham's Garden Revealed, describing how the 17th-century Dutch water garden was created. Except for the regular evening concert programme, you will need to park virtually at the entrance and our recommendation is to walk downhill, initially along a tree-lined avenue, to the house about half a mile away. Don’t worry about the wild fallow deer (all 200 of them). They were all born and raised in the park and are quite oblivious to humans. There is plenty of other nature too. It is a learning paradise for children. Have lunch or tea in the self-service restaurant (but cooked meals are brought to your table), and then take the courtesy bus back. Or walk. Entrance to Dryham Park and garden is £4.20 (including house £11.20; family ticket £28.30), but it is far better to take membership of the National Trust, with the annual family charge just £111 and 500 places to visit.